Pictured as a yearling bull at the Ascot Sale. 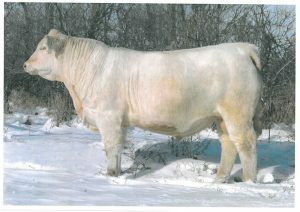 Free Lunch has been the highest selling proven Select Sire bull. He and his progeny have taken our Charolais herd to a new level. Consistently sires heavily built, easy doing, short gestation and super quiet bulls. Progeny are magnificent. 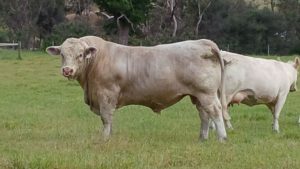 Top priced bull at the 2016 Autumn Sale, Paringa Free Lunch K330 (AI)(P) sold to Ascot Cattle Co , Warwick Queensland, for $11,000. 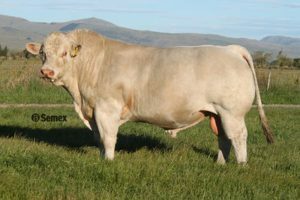 Weighing in at 812kgs, polled with quiet nature and a ranking on Breedplan putting him in the top 1% across the board, K330 was a sought after sire prospect. Making him even more special was the fact he was bred from a 2 year old Charolais heifer. Click on link to EBVs. Howler was identified from a young age as being the ideal back up sire for our herd. Bred by Andrew Postle, Queensland. 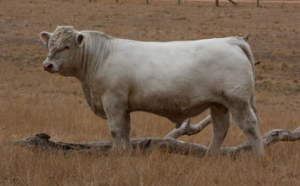 One of the feature bulls in the LT 2014 Bull sale, Venture sold for $50,000 USD. He is a maternal brother to LT Sundance. Their dam is fast rising to the top of the LT herd. Venture has great feet, excellent temperament and body type. 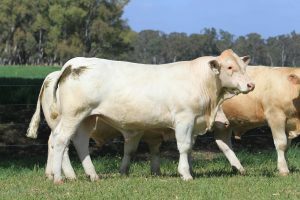 Comments: Top priced bull at the 2009 Paringa Sale. 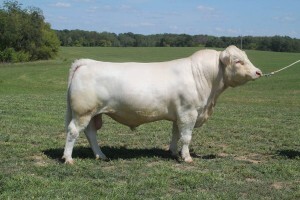 Owned by Ashwood Park Charolais. Regarded by many as the best bull going around. More than twice the breed average for Fat, Top 5% for calving ease, Top 10% for growth, with exceptional temperament. Super sound, good nuts and #2 for Domestic Index (Nationally for 2013). White Gold is turning out to be a real winner – amazing calving ease, structure, early growth and his figures have gone through the roof. He is the highest feed efficiency bull tested at Colorado University in 2010. 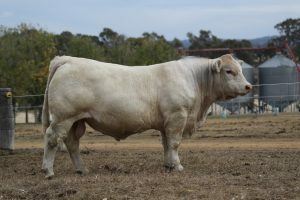 White Gold topped the Charolais BIN Progeny Test and is now one of the top 5 Charolais bulls in Australia, ranked No. 3 with actual progeny recorded. First sons sold Spring 2013 at Paringa, right through to 2016.